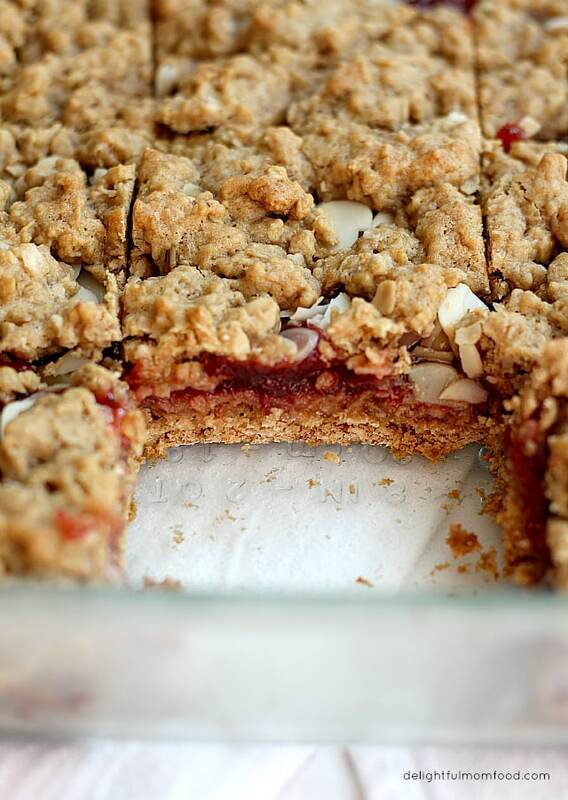 Baking healthy breakfast oat bars is a weekly tradition with the kids. 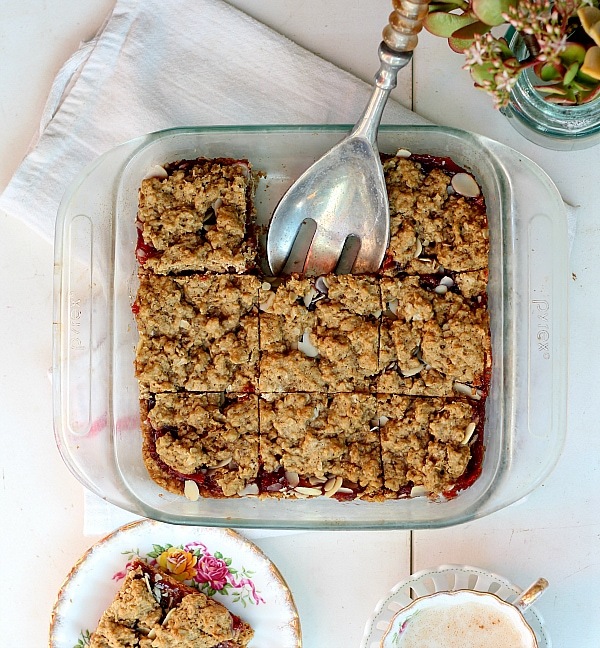 I make this Strawberry Granola Crumble recipe probably every Saturday or Sunday afternoon to serve up for dessert that evening and for breakfast the next day. We love to change the flavors of this recipe around by swapping out the center filled gooey melted fruit with blueberry, strawberry or apricot organic conserve. 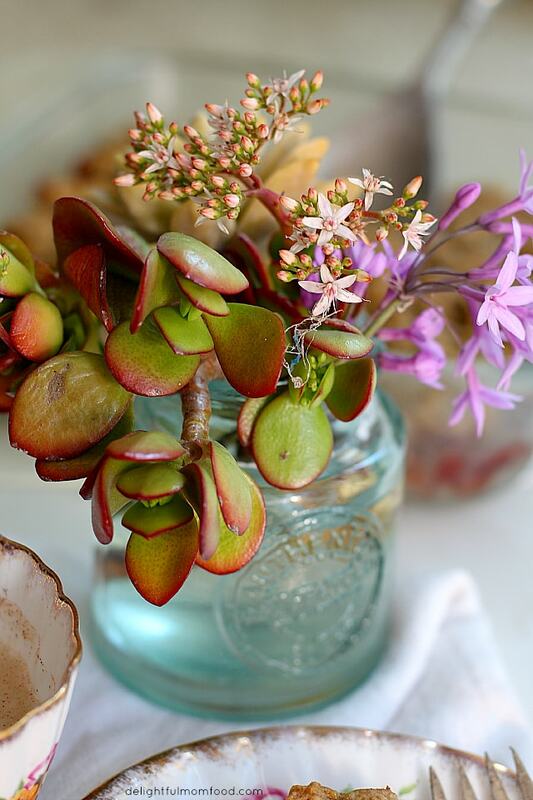 Homemade or straight from the farm jam is the best kind of center for these, flavor and consistency (like a conserve)! Speaking of conserve… have you ever wondered what the heck the difference is between all the soft fruit spreads? I have. So here is the lowdown… jams are thick yet easily spreadable and good for fillings. Jelly’s are more firm, tough enough to hold its shape (think peanut butter and jelly sandwiches). Conserves are thick and chunky in texture and work well as a condiment for meats and cheeses. 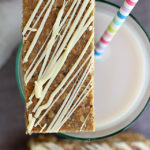 I make a lot of homemade granola oat bars to avoid constantly purchasing the convenient store-bought versions (even though they are so convenient!). Guess what else? They are totally vegan, dairy free, gluten free (not wheat since it uses Spelt so substitute for GF flour) and vegetarian friendly! 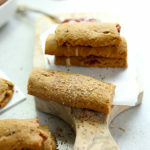 Add this to your list of healthy granola bar quick meals! 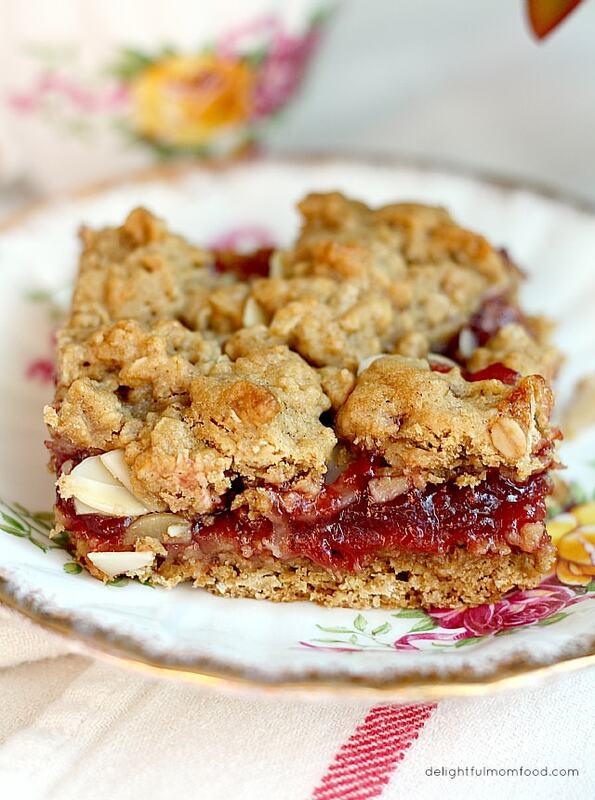 This is the perfect healthy breakfast idea which is similar to my Chocolate Caramel Oat Square recipe only I add vanilla flavoring and the center is sweetened with strawberry conserve/jam rather than chocolate and caramel. This is my second round and the first round I have to say I prefer the softer creamier fruit spread. 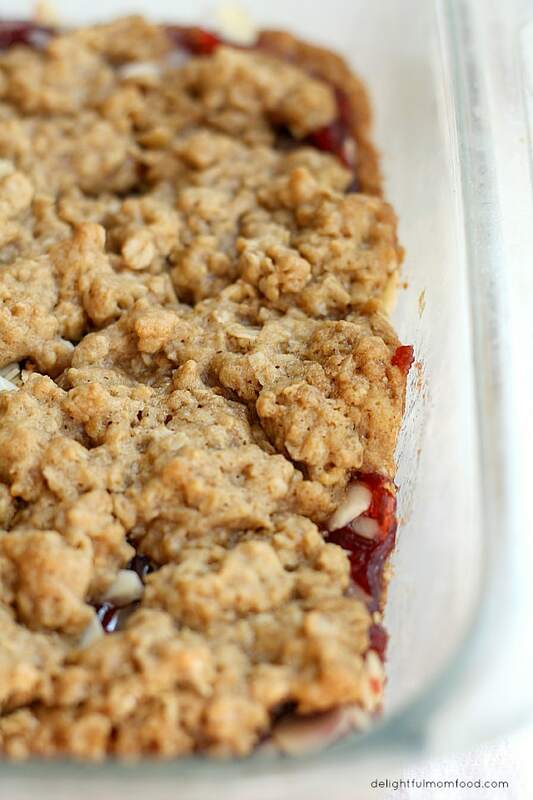 The trick to a good oat bar is getting it nice and crispy on top. 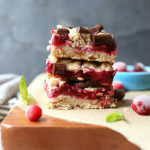 Having various layers like this crispy top followed by soft and chewy textures meeting in the middle with rich sugary jam is simply mouth watering pure bliss! To get the effect, make sure the oven is pre-heated long enough (if your oven is older give it a good 20-30 minutes). Really let me just skip the fluff and let you know these are the bomb! 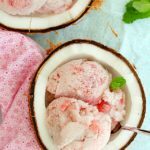 Finding recipes for kids that are truly good for you (and that they will eat) can some times be a challenge. We are sorta on a kick making them every day this week… Saturday, Sunday and Monday, probably to be followed by another batch tomorrow morning. Hmmm… apricot jam this time? Come on over- you bring the coffee, I’ll serve up the dish! I have also just added a FOOD GLOSSARY to my blog menu where you can find a lot of the nutritional value of foods that I incorporate into my recipes. Check out the awesome benefits of oats! Oats: High in Fiber, increase appetite control hormones, helps reduce type 2 diabetes, lowers bad cholesterol, and controls blood pressure. And to top it off, a Finnish prospective study of 1293 children found that those introduced earlier to oats were in fact less likely to develop persistent asthma. Preheat oven 350 degrees F. In a large mixing bowl, combine flour, oats, baking soda and salt. In a smaller bowl combine coconut oil, coconut sugar, cashew milk and vanilla extract. Add your wet mixture to the dry mixture and combine well. Set a third of the mixture aside for topping. Press remaining mixture onto the bottom of a prepared 8-inch square baking dish. Bake uncovered for 20 minutes at 350 until the crust is raised and set. Remove from oven and spread fruit jam (or conserve) evenly to coat. Sprinkle almond slivers on top of jam evenly to coat. Sprinkle with reserved oat mixture; press lightly to coat with fingers or the back of a spoon. Bake 15 minutes until slightly brown. Cool before cutting.